Overton Vertis “O. 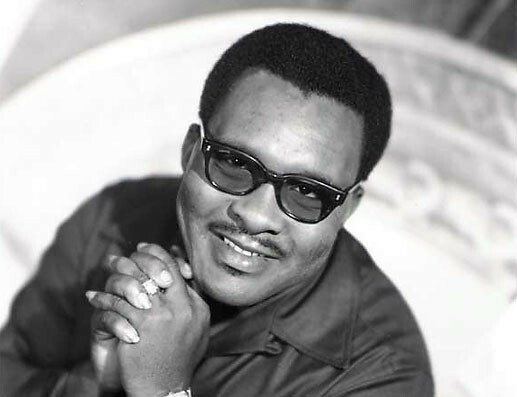 V.” Wright (October 9, 1939 – November 16, 1980) was an American rhythm & blues and soul singer. Born in Leno, Tennessee, Wright, as a youngster, began singing in the church. In 1956, while still in high school, he joined The Sunset Travelers as one of the lead singers for the gospel group. He later fronted a gospel music group, the Harmony Echoes. It was during this time that he was discovered (along with James Carr) by Roosevelt Jamison a songwriter and manager. Their first pop recording in 1964 was “That’s How Strong My Love Is,” a ballad later covered by Otis Redding and the Rolling Stones. 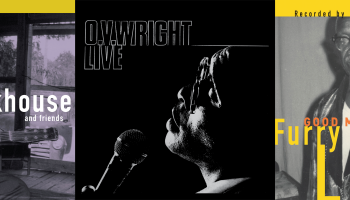 It was issued on Goldwax, the label Wright signed to after leaving his gospel career. It was later determined that Don Robey still had him under a recording contract, due to his gospel group having recorded for Peacock. After his contract was shifted to Don Robey’s Back Beat label, further R&B hits followed. Working with record producer Willie Mitchell, success continued on songs including “Ace of Spades” and “A Nickel and a Nail”. Wright’s hits were much more popular in the deep South. His biggest hits were “You’re Gonna Make Me Cry” (R&B #6, 1965), “Eight Men, Four Women” (R&B #4, 1967) “Ace of Spades” (R&B #11, 1970), “A Nickel and a Nail” (R&B #19, 1971). The remainder of his 17 hits charted higher than #20 on the R&B charts. 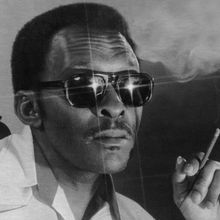 However, Wright was imprisoned for narcotics offenses during the mid-1970s, and, despite signing for Hi Records and releasing a series of recordings, his commercial success failed to recover after his release. A continuing drug problem weakened his health and he died from a heart attack, in Mobile, Alabama at age 41.- Last F.M.